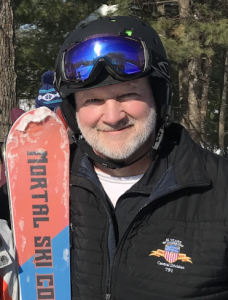 Dr DeWeerd began his National Ski Patrol members in 1972 and has patrolled in both Minnesota and Wisconsin. He become Patrol Representative of the Year in the North Central region, and was awarded a National Number in 2005. He has been an ARC, WEC, and OEC lecturer and instructor for many years. Dr DeWeerd has been a venue physician for World Cup events at Deer Valley, Utah in 2001, 2003 and 2004, as well as the 2002 Winter Olypics in Salt Lake City. Dr. DeWeerd did his orthopedic residency at the Mayo Clinic in the mid-1970s, then saw active duty in the United States Navy. He was in orthopedic practice from 1978-2002 and maintained his Naval Reserve status until he retired from the Navy in 2000. He is a Fellow of the American Academy of Orthopedic Surgery and the American College of Surgeons.